Buying and Selling Pokemon Cards! 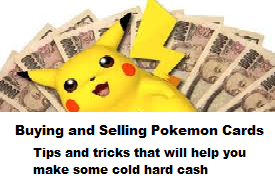 Ever wondered how to generate cash with something as simple as a Pokemon card? With this eBook, you'll be given tips and tricks on how to turn your cards, into cold hard cash!